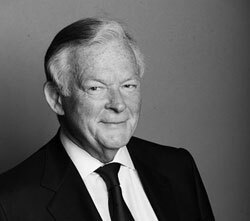 Francis Finlay was formerly Chairman and CEO of Clay Finlay Inc., a global investment management firm based in New York that he co-founded in 1982. He previously held senior investment management positions at Morgan Guaranty Trust and Lazard Freres. Mr. Finlay has held positions as a Trustee of the British Museum, Chairman of the American Friends of the British Museum, and as a Governor and Trustee of the Ditchley Foundation, amongst others.